Rose day is a part of Valentine’s Day and people celebrate it on 7th February before Valentine’s Day. 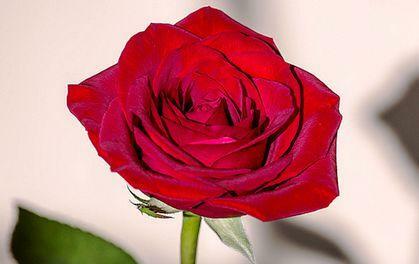 The purpose of this Rose day is to enhance love between couples, spouses, girlfriend, boyfriend and also between olds. People celebrate this rose day by giving roses of different colors to each other and every rose's color has its own definition, but red roses are most famous among these because they are symbol of love. Moreover, you can send rose day sms on this 2015 event to tell your girl that how much your love her. Ifun.pk provides an awesome collection of rose day sms in Hindi and English languages and these texts are not more than 140 characters, so you can easily send them on your mobile by using our free sms service. Love is not a relation between two lovers, love is a relation with anyone on this earth including your parents, sister, brother or friends; so don’t limit this blessing to a girlfriend or boyfriend only. If you’re a true lover then it’s your responsibility to wish your loved ones by sending them rose day greetings, and these greetings can be of any type including poetry, sms, quotes and Hindi shayari and we are proudly providing their collections free of charge. In my life hundreds of people come and gone but the one whose presence always motivated me is you. You hugs and kisses are the testimonies of our long term relations. In the curvy roads of life your affection has made me strong. Happy rose day. You're just not my wife, infact you're the purpose of my life and keeping you happy is my biggest desire. You're like the rose of my garden and your presence in my home is a blessing of Allah Almighty. Many girls dream for perfect husband you cares like Sharukh Khan and make them secure like Salman Khan. But they don't have idea that there is only man exists in the World who has all these qualities and that is already taken my me. Happy rose day. We aren't lovers but I wish we don't remain foes anymore. I know we were not best friends but I hope the hater feelings also disappear from our hearts. So, I thought I must wish you rose day to convey my pure and harmless intentions to you. People send rose day SMS to their girlfriend/boyfriend but for me you're my rose and you're my Valentine. My love for you is endless and you're the cure of my all pains. happy rose day. Those who afraid from thorns never get success to hold a rose. Those who fear from difficulties never achieve their love. Happy rose day. I asked to God for a rose but he bestowed me with a garden. I asked to God for success and he met me with you. I asked to God about a beautiful life and made you my wife. Happy rose day dear wife. When roses see me they get jealous from me because I beat them in beauty. When roses see my smile they get jealous because they don’t have sparkling teeth like me. When people read my SMS they jealous because they can’t praise me like I praise myself. Love gives you courage and satisfaction. Love heals the unseen wounds. Love provides immense strength to face difficulty. Thanks to be my love. Happy Valentine's Day.